I have a rather huge obsession with face masks at the moment. I used them every pamper night. What's a pamper night without one? 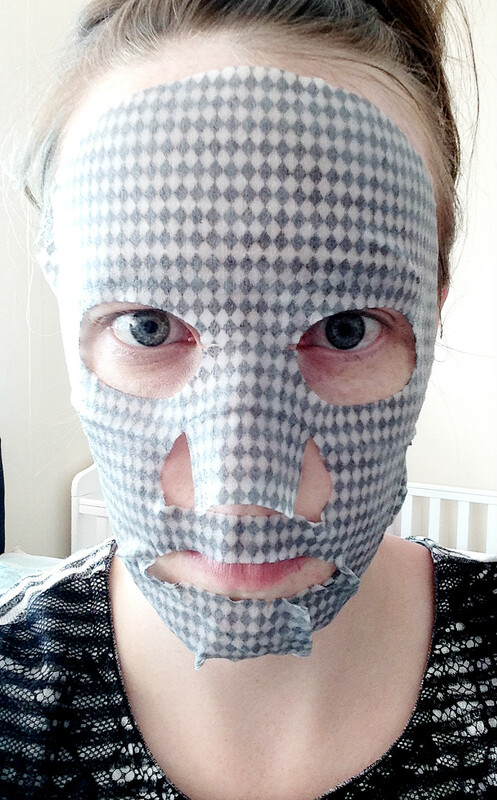 I particularly enjoy charcoal based masks as it's more suited towards my acne prone skin. When I was given the chance to try out a very unique face mask I was ecstatic. This came in the form of the Timeless Truth Charcoal Detox Brightening Face Mask. Now when I say it's unique, I really mean it. It's unlike anything that I have used before. It's a cloth mask with bamboo charcoal extract embedded into it as opposed to the liquified or slightly thick face masks that you can purchase on the high street. First of all you have to really cleanse your face before. I prefer to double cleanse though. I use my micellar water to remove my makeup and another cleanser afterwards. 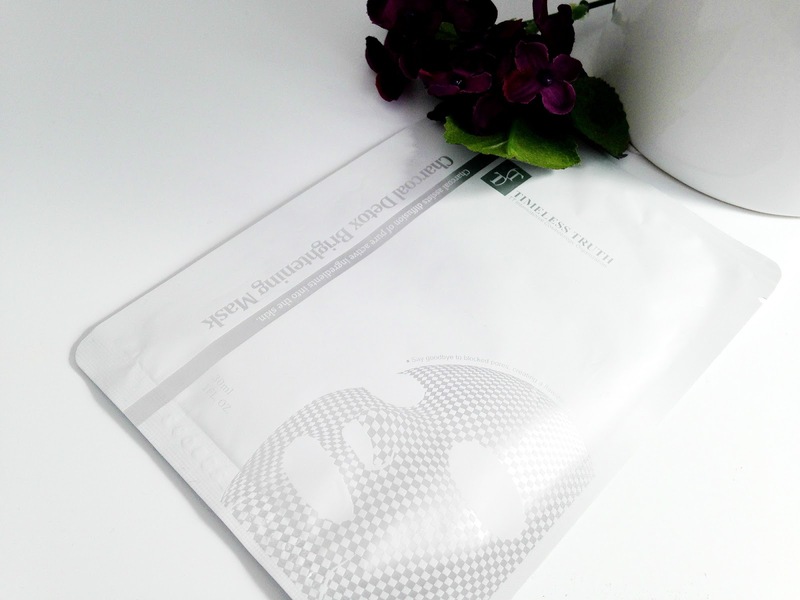 Once I had cleansed my face I opened the sachet and removed the plastic film on the mask. I applied it firmly on the face with the darker side facing down(this side has the charcoal embedded into it). It has openings for the eyes and mouth so you really have to adjust it well to your face. I found it rather difficult to make sure it adheres to my face though. At times the cloth started coming away from around my mouth and my chin. It was rather slippery but that was not a problem. The TT Mask does look a little creepy looking on the face but I can look past that. I'm not sure my sister could though when she seen me wearing it, haha. I left the mask on for a good 20 minutes before removing. It is recommended to remove it after 15-20 minutes but I like leaving it on for the maximum amount of time. After it was removed there was a lot of product left on the skin so I gently massaged it into my face. I found that the mask was, yes, a little slippery at times and admittedly stang a little around my jaw but it left my skin feeling rather smooth and hydrated with a lovely radiant, brightening effect. It was a fantastic change from the norm and I am so pleased with the way it made my face feel. I can't say it has done anything for my acne as it has been been all over the place the last few weeks although I did notice it calmed down the redness which is a sure good sign. Have you tried the TT Charcoal Detox Brightening Mask?